18 trailers will soon be pulling up in Britain’s Ocean City marking the long-awaited return of Schönberg and Boublil’s critically acclaimed production, Miss Saigon. This play earned the composer and lyricist duo their second major UK success, following Les Misérables in 1985. Despite achievement in the UK’s West End being no easy feat, the pair had already shot to fame in France after debuting Les Mis in their local capital Paris, back in 1980. Whilst new life has been bestowed onto Les Misérables, this gritty and hard-hitting musical last adorned the stage in Plymouth way back in 2004, earning widespread praise as a result. Cameron Mackintosh continues his reign as Miss Saigon’s producer, and whilst dramatic set-pieces are bound to impress, the spotlight here is directly on the characters themselves. Mackintosh is famed for producing more iconic musicals than anyone else in the industry, from The Phantom of the Opera to Cats, so it would seem Miss Saigon is set to soar to greater heights than ever before. It’s also worth noting that in 2013 Cameron produced his first feature film, the Oscar, Golden Globe and BAFTA award-winning big-screen adaptation of Les Misérables. What better hands are there to be in? 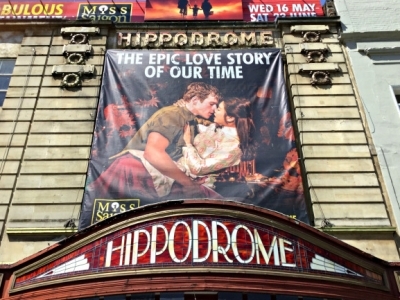 I travelled to the historic Hippodrome theatre in Bristol ahead of its move to Plymouth to get the behind-the-scenes scoop, and to show our audiences what they can expect this time around. In the last days of the Vietnam war, 17 year-old Kim has been forced into working at Dreamland, a Saigon bar run by the notorious Engineer. It’s here Kim meets and falls in love with American GI Chris, a glimmer of hope in a world where both are haunted by the lives they must lead during the war. Set against an immersive international backdrop journeying through the streets of Vietnam, Bangkok and the United States, soon enough they both realise the events that have transpired are inescapable. They will ripple outwards even after the war is over, threatening to disrupt anyone and anything it comes into contact with along the way. Miss Saigon aims to fully enlighten its audience to the true plights of every human being simply existing through the Vietnam War. Though largely set in Vietnam these themes effortlessly surpass their immediate environments and can be easily applied to anywhere we find conflict in our world today. Making these themes still as relevant now as they were at its debut in 1989, and surely too, synonymous to the war it depicts itself. These settings take on a chillingly beautiful dimension of their own on stage, interspersing them with love, hate, necessity and hope. There’s also a staggeringly detailed replica of a Bell UH-1 Iroquois “Huey” helicopter, which stands as a true homage to the Vietnam war (and is also an unbelievable set-piece!). The Huey even soars to an impressive 8 feet in the air during the performance, and it’s also the only thing I wasn’t allowed to photograph as to not spoil the mystery of the effects. As I arrived at Bristol’s famed Hippodrome theatre I was greeted by the incredibly talented Miss Saigon UK Company Manager, Neil White. Neil ushered me through the stage door right into the inner workings of Miss Saigon, so I could really get a feel of what to expect when the production makes its move to Plymouth in July. 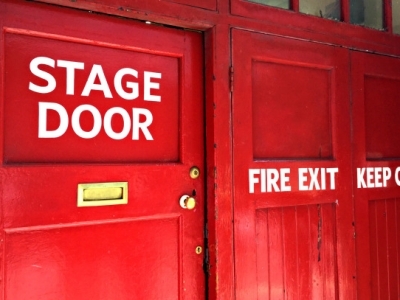 As I entered through the theatre’s stage door I was immediately enveloped in a unique Vietnamese inspired jigsaw, that transported me right back to the 1970’s during the peak of the Vietnam war. I wasn’t expecting this instant resonance having not been around during the Vietnam war itself, or the entirety of the 70’s for that matter. Within seconds all of these preconceptions I had were dissolved, I was immersed and I was caught up to speed. The set itself is a phenomenally made and intricately detailed body of work. Vietnamese carts are dotted around the set sporting out-of-production Rizzla packets and a traditional rice steamer. American M16 Assault Rifles and AK47’s are on-hand to assist the soldiers (replicas of course). The attention to detail and effort that has gone into replicating these cultures on-set is astounding, right down to the real military attire, from the Vietnam war itself. It’s this authenticity that really grounds the play in its story line, and unsurprisingly a lot of the smaller details can often go unnoticed unless you know what you’re looking for. Neil explained to me that every aspect of the set is vital for the actors, as these small details “help to create a world for the cast to live in” whilst on stage. 1. Popular beers from both sides of the battleground found in ‘Dreamland’. 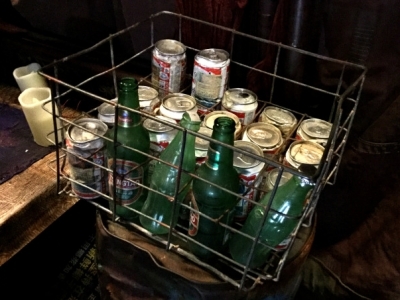 Metal crate sporting popular Asian beer Tsingtao, and equally as popular American-style lager Budweiser. 2. 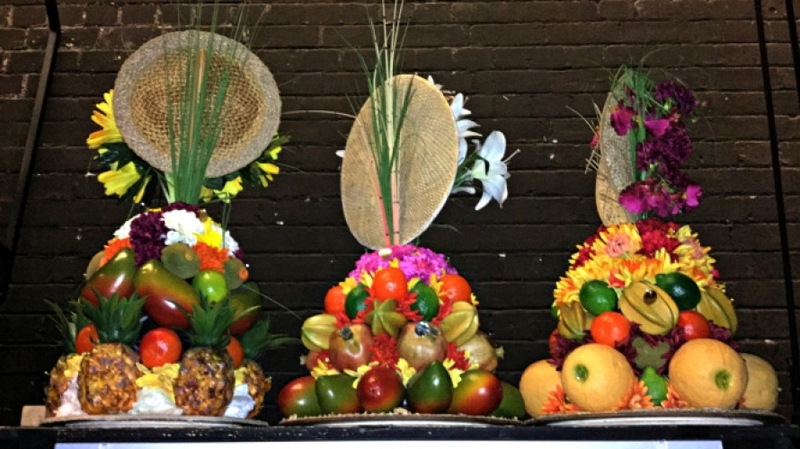 Festive fruit hats popularised by Brazilian singer/actress Carmen Miranda. 3. 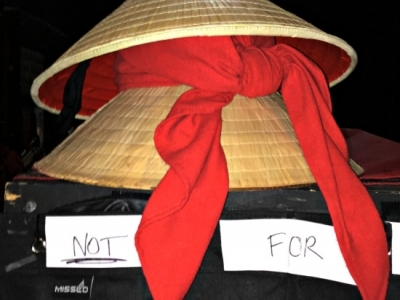 Asian conical hats, typically used by farmers. 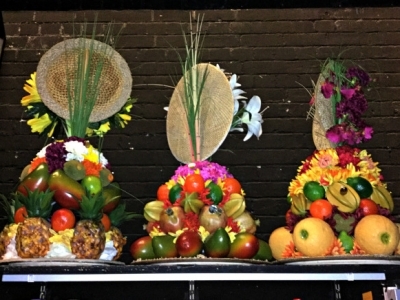 Conical hats that were directly imported from Asia for their use in this musical. 4. Kim’s back-stage dresser. 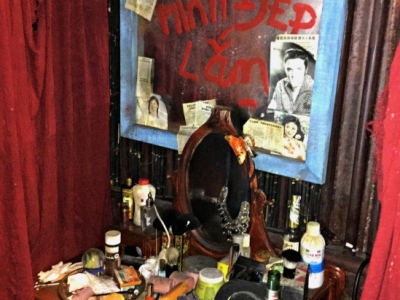 The mirror features the Vietnamese phrase “mình đẹp lắm” written in lipstick, which loosely translates as “is very beautiful”. Kim’s dresser inside the Bangkok go go bar ‘Le Moulin Rouge’. 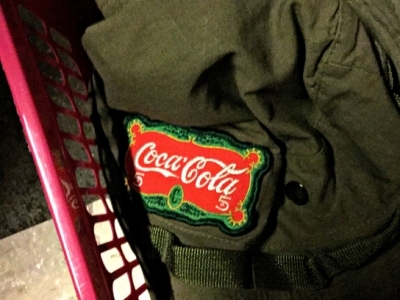 Original bucket hat embroidered with a retro Coca-Cola logo from the 70’s. The authenticity doesn’t stop there, with actors from 10 different nationalities scouted from a world-wide casting call being used to fully shape each setting and mirror each diverse culture. From Swedish to South Korean to Dutch, this production has cast its net far and wide to find the right fit for each of the characters. This dedication to the source material clearly pays off on stage, with the spectacular set-pieces only seeking to amplify the source material itself. This rendition of the play has more lighting elements than both the Broadway and London versions of the show, yet when you insert the characters into these scenes they feel grounded yet reactive to their respective environments. This perfect mix of craftsmanship and emotion facilitates a real, raw and powerful response from the audience, which is exactly its intended purpose. As I exited the theatre via the same stage door I entered through, I couldn’t help but feel a sense of awe about the whole thing. It’s truly inspiring to see the sheer spectrum of talented and creative people working together on Miss Saigon. They piece together such a fantastic and dynamic production, that still has you leaving the theatre pondering life’s existential questions even now, almost 30 years on from the original. The fact Miss Saigon can and has been continually re-expressed on stage for nearly 30 years, really demonstrates the strength and integrity of the play’s content. Not to mention hints from Mackintosh at a film adaptation in the near future. The human pitfalls and triumphs of love and hope transcend to become universal story lines and therefore can always find a home and meaning in each new generation that discovers it. This impact you feel pushes you to question if this is a good or a bad thing. Why do the obstructions and repressions of war still resonate so intensely with us even now? It seems we still have much to learn from Miss Saigon’s characters and how they navigate the world around them, as it could just as easily be us in the driver’s seat trying to forge the same order out of the intense chaos of war. Catch Miss Saigon at the Theatre Royal from July 4th – August 4th 2018.